Electrical activity of electrogenic cells and tissues can be recorded by means of microelectrode arrays (MEAs). These arrays allow simultaneous extracellular recording and stimulation from dozens to thousands of recording sites. Since its introduction more than 40 years ago, the technology has been further developed to include different substrates and electrode materials, as well as Multiwell approaches to increase throughput and CMOS based arrays to increase channel count and spatial resolution. Neuronal networks derived from primary neurons, and more recently stem cells, have been among the first preparations used on MEAs, and still make up the largest part of studies published today. 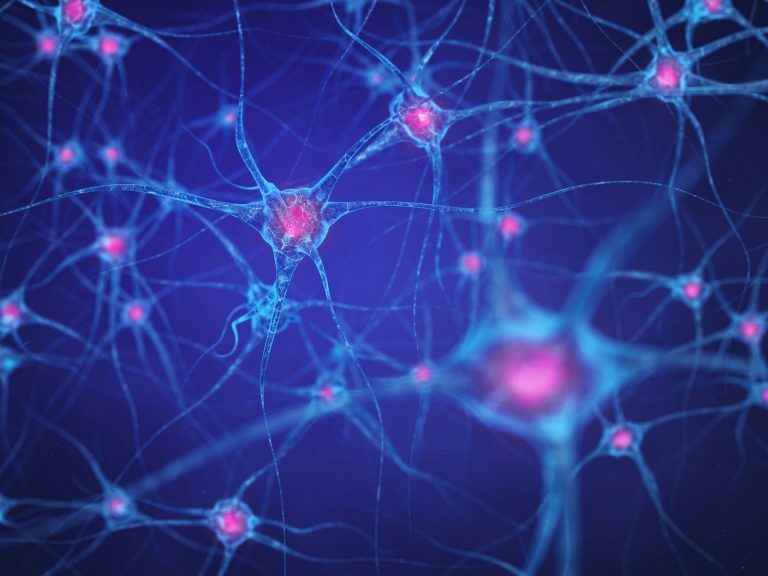 Primary neurons have been used in hundreds of studies in basic neuroscience, but later were also used for drug screening and toxicology studies. Over the years, many different MEA designs were developed, in response to the growing number of experimental paradigms being used. A demand for increased throughput, higher resolution, and increased number of channels also drove the development of the amplifier technology forward. Starting from the early recording setups with amplifier, stimulator, and data acquisition for a single array, MEA recording systems have evolved to highly integrated devices with built-in stimulation capabilities, real-time data processing, and variable headstages to accommodate different MEA types, which also record from multiple arrays simultaneously. Today, MEA-Systems based on metal electrodes are available with channels counts up to 256 in a single electrode grid as well as various multi-well solutions to achieve increased throughput. The most cutting edge technology, however, are systems based on CMOS technology with thousands of simultaneous recording and stimulation channels, which allow electrical recordings with a spatial resolution close to optical imaging. A major point of criticism for any in vitro assay in a pharmacological context always was the relevance for human drug discovery and safety pharmacology. 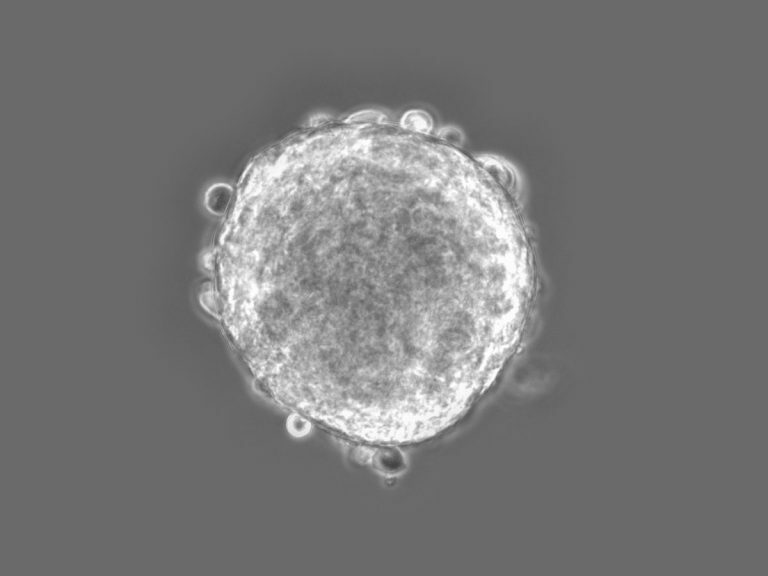 With the introduction of induced pluripotent stem cell technology (iPSC) it became possible to obtain human cells with a cardiac or neuronal phenotype on a large scale. 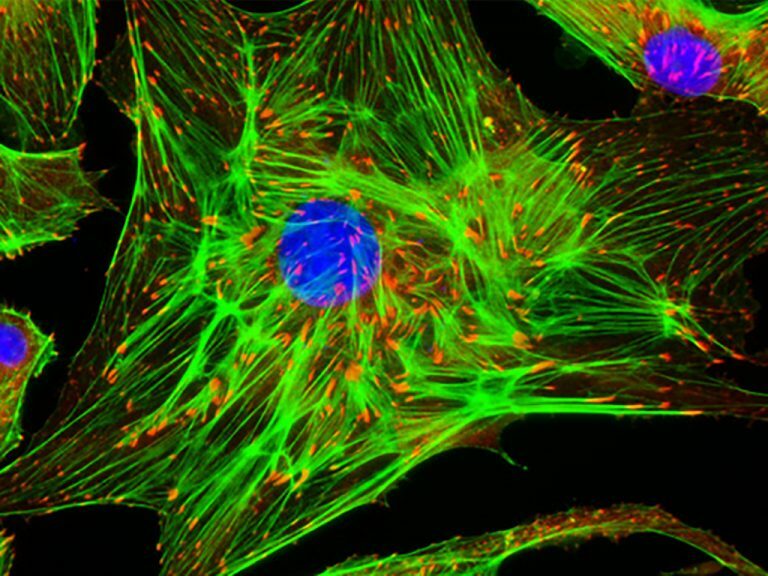 These cells are a great resource for tissue engineering and disease modeling. 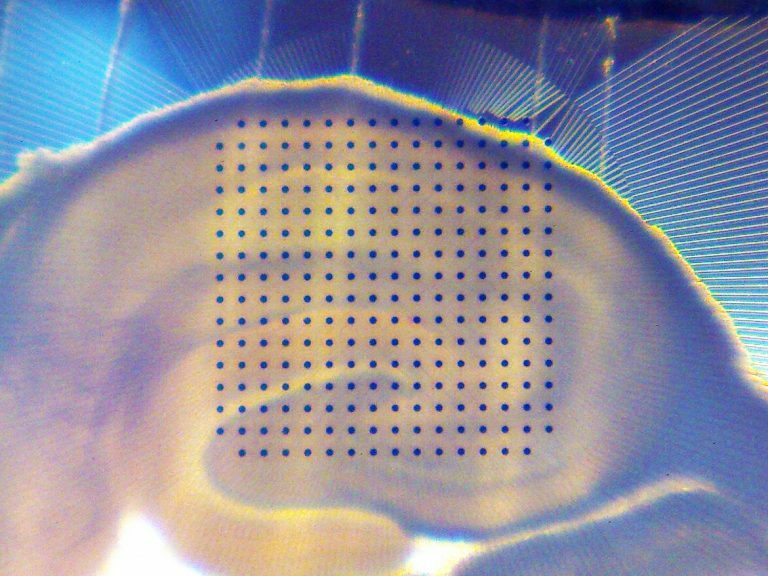 The use of microelectrode arrays enables long term culture on a chip and long term recordings during differentiation. Microelectrode arrays reflect the full electrophysiological image by using a huge number of electrodes during long term recordings with two- and three dimensional arrays. For screening applications in Drug Discovery, Safety Pharmacology, and Toxicology we offer multiplexed solutions with 6, 9, 12, 24 and 96 wells with a dedicated software for automated extraction of all relevant parameters. 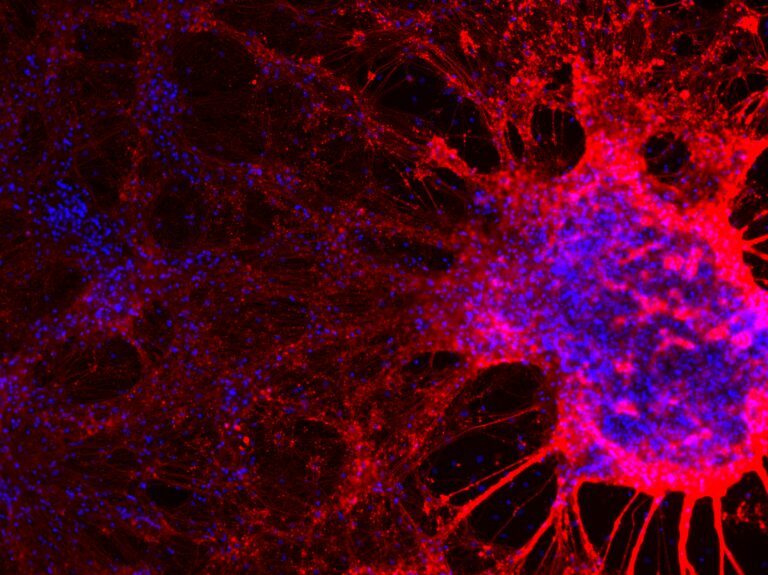 The human heart consists of more than 2 billion cardiomyocytes, so why just record a single cell? It is the network, the syncytium, the signal propagation patterns that really matter, linking electrical and mechanical functionality in the heart. Microelectrode array technology enables the monitoring of beating layers and clusters of cardiac cells with up to 256 electrodes. Dedicated software visualizes signal propagation and identifies proarrhythmic indicators. Monitor conduction velocity, pace with any electrode, and test drug effects on multiple cardiac parameters. In addition to the high resolution MEA2100 systems that allow combining recordings with a variety of other assays (optogenetics, calcium imaging, patch clamp, fluorescence microscopy) we offer a screening platform with up to 96 wells featuring up to 1152 electrodes – a performance unrivaled in the industry. To move one step closer from isolated cells towards the living organ, tissue preparations of different origins have also been used extensively on MEAs. Acute slice preparations from numerous brain regions have been used to investigate classical paradigms like LTP/LTD in basic research, but also with increased throughput systems as a last step in the drug discovery chain before going into animal experiments. Retina preparations on MEAs yielded fundamental insights in vision research and also prepared the way for the first functional retina implants in blind patients. Heart slices and whole mounts monitored by high resolution MEAs revealed interesting data about signal propagation in stroke damaged tissue. The problem of limited recording time of acute preparations can be partially overcome through the use of organotypic cultures, which can be cultivated directly on the MEAs, allowing for repeated recordings over extended periods of time. Glucose-dependent electrical oscillatory activity in beta cells within islets of Langerhans is important for understanding their physiology and pathophysiology. Electrophysiological recordings are both time consuming and technically challenging thus limiting academic research and industrial drug development. The MEA technology opens a new route to support the development of new drugs for the treatment of type 2 diabetes mellitus, as well as to elucidate beta cell pathophysiology e.g. during the progression of diabetes. Multi Channel Systems has been developing and building MEA-Systems for over 20 years.